Deadlocks are a very common lock in Portsmouth and across the UK and are normally fitted as a secondary security lock. They are operated by a turn of the key that enables a bolt to lock into the strike plate fitted in the frame. The deadlocks have to be manually locked and unlocked and provide better security than a nightlatch against physical attack. 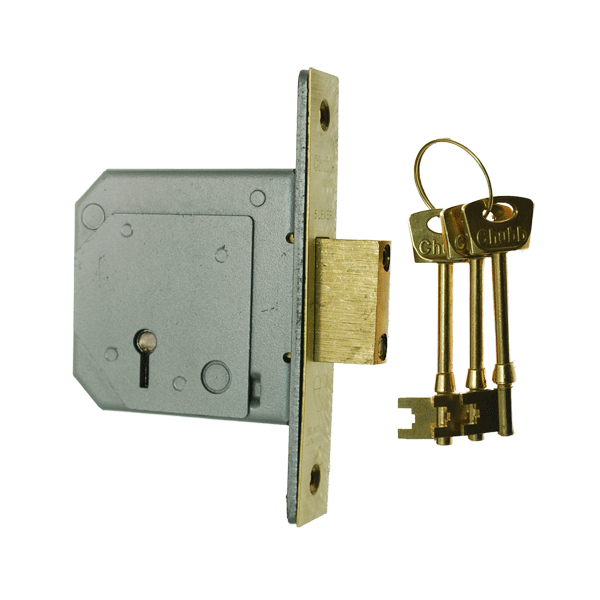 The deadlocks generally come in three options and various sizes and finishes to suit different applications. The 3 lever deadlock is designed for low security applications and provides basic security protection. These locks should only be fitted to internal doors like bedrooms, cleaners / storage cupboards and other low security internal doors. The 3 lever deadlocks are smaller in size than the 5 levers deadlocks as most internal doors are only around 35mm thick unlike exterior doors at around 45mm. The 5 lever deadlock is a upgrade to the 3 lever deadlock and are more robust. The locks are larger and offer more key combinations due to the extra levers. The deadlocks can also provide extra security features like anti pick, anti saw bolts and boxed strike plates. We would still only install these locks internally on doors 45mm and thicker as they are not British Standard BS3621 rated. The 5 lever British Standard deadlock is rated to BS3621 and is required for external doors to a property and is generally required by insurance companies to qualify for contents insurance. The BS deadlock has the anti pick and anti saw security features with an extended 20mm bolt throw that locks into a steel boxed security strike plate fitted to the frame. 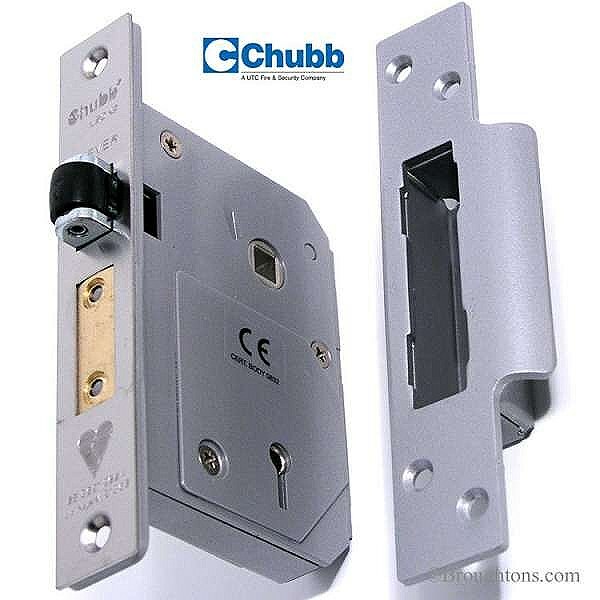 These locks also have a hardened steel plate that helps protect the levers from being drilled and a security curtain that helps protect against picking. If you are not sure if you current locks are BS3621 rated for insurance just look on the front edge where the bolt is for a british standard kite mark as below. We can repair or replace all the locks above but do strongly recommend upgrading to the british standard BS3621 deadlock if your current lock is not rated.